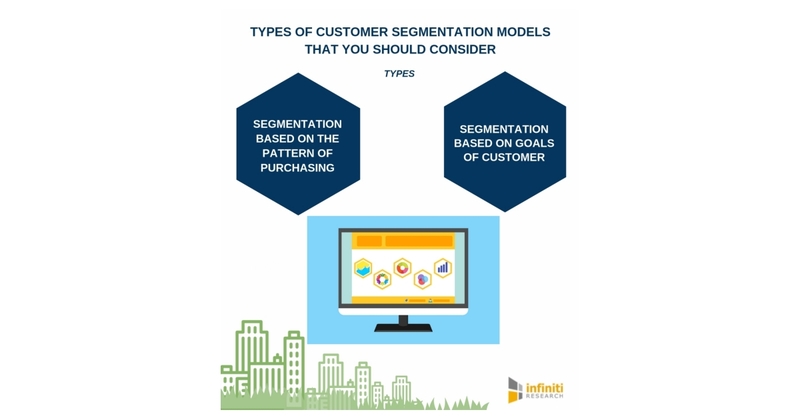 LONDON–(BUSINESS WIRE)–Infiniti Research, a world-renowned market intelligence solutions provider, has announced the completion of their latest article on the types of customer segmentation models. Now, it has become clear that there has been a shift towards “customer-centric” business models. And this looks like an obvious strategy for any company or brand, execution often proves to be a challenge. It’s great that companies want to cater to their customers’ wants and needs, but when it comes down to it, it’s difficult to really understand a single customer among the masses. Customer segmentation is one technique that has proved useful for marketers to develop better insights about their customers. Using segmentation, you can better forecast the types of products and promotions that will resonate best with which groups of people. “Effectively designed customer segmentation models help in understanding the customers by identifying their unique interests, behaviors, and preferences,” says an industry expert from Infiniti. Know more about the types of customer segmentation models or talk to us, for a free consultation with our analysts. Demographic segmentation: Customer segmentation on the basis of demographic data is a very precise way of personalizing the marketing message. A lot of features can be considered such as age, location, gender, ethnicity, household income, marital status, occupation, and education level. But there is a certain trick to demographic segmentation and that is to find the most powerful way to group the customers so that it’s simpler to make a reliable and ongoing conversation with them. Segmentation based on the pattern of purchasing: Evaluating the purchase patterns of customers shows light on what, how, and when the targeted customers make the purchase. Further, this helps in finding the regular shoppers as well as the shoppers of the highest value. This is one of the direct ways to retain customers and is one of the customer segmentation models that helps in retaining customers successfully. Infiniti Research is a global market intelligence company offering strategic insights to help look beyond market disruptions, study competitive activity, and develop intelligent business strategies. Listed below are the types of customer segmentation models.